This book is currently going through the final stages of production. It will be available in January 2004. Squid is the most popular Web caching software in use today, and it works on a variety of platforms including Linux, FreeBSD, and Microsoft Windows. Squid improves network performance by reducing the amount of bandwidth used when surfing the Web. It makes web pages load faster, and can even be used to reduce the load on your web server. By caching and reusing popular web content, Squid allows you to get by with smaller network connections. It also protects the hosts on your internal network by acting as a firewall and proxying your internal web traffic. You can use Squid to collect statistics about the traffic on your network, prevent users from visiting inappropriate web sites at work or school, ensure that only authorized users can surf the Internet, and enhance your privacy by filtering sensitive information from web requests. Companies, schools, libraries, and organizations that use Web caching proxies can look forward to a multitude of benefits. Written by Duane Wessels, the creator of Squid, Squid: The Definitive Guide will help you to configure and tune Squid for your particular situation. 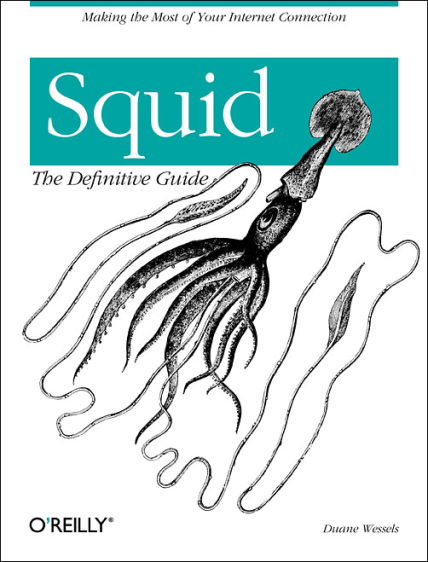 Newcomers to Squid learn how to download, compile, and install code, while seasoned users of Squid will be interested in the later chapters, which tackle advanced topics such as high-performance storage options, rewriting requests, HTTP server acceleration, monitoring, debugging, and troubleshooting Squid.